In 2017, the Metropolitan Police Department launched the Safe Place initiative, an effort to reduce and combat crimes committed against the city's Lesbian, Gay, Bisexual, Transgender, Queer/Questioning (LGBTQ) residents and visitors. The initiative also encourages LGBTQ citizens to report crime and works to build the trust between the LGBTQ community and our department. The mission of the Safe Place program is to have signage displayed by local supporting community members, businesses and organizations that work closely with the police department in our effort. The signage serves as a symbol of safety for victims of LGBTQ crime and also as a warning to those who commit crime. Safe Place locations provide secure places for victims of anti-LGBTQ related crimes and harassment to call 911 and wait for police to respond. This cooperation is essential for holding suspects accountable and reducing crime. 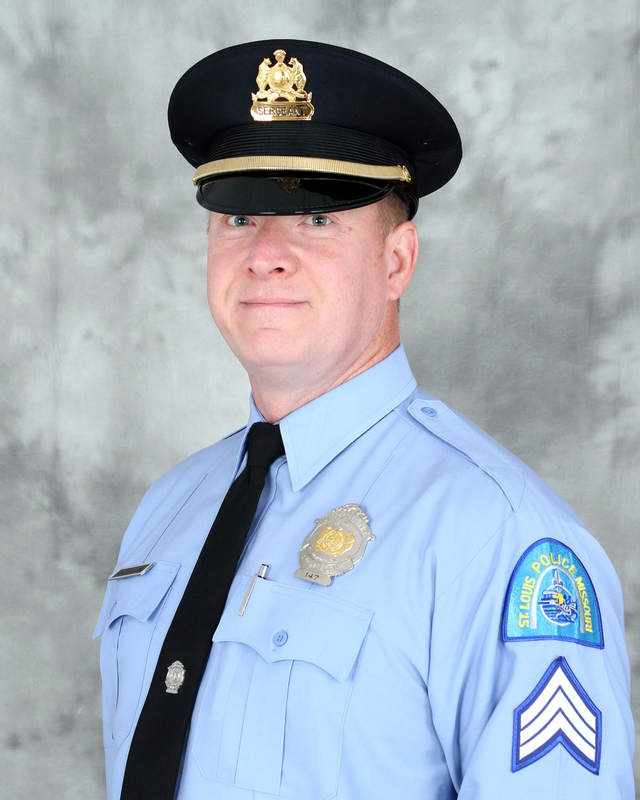 The SLMPD has also designated a LGBTQ liaison officer who promotes partnership efforts between the department and LGBTQ community and can be a resource for answers to questions you may have. The SLMPD tracks all crimes that occur within the City of St. Louis; however the FBI also mandates statistical crime reporting from every law enforcement agency in the United States. The FBI defines a hate crime as a “criminal offense against a person or property motivated in whole or in part by an offender’s bias against a race, religion, disability, sexual orientation, ethnicity, gender, or gender identity.” Hate itself is not a crime—and the FBI is mindful of protecting freedom of speech and other civil liberties. To learn more about the FBI’s definition of a hate crime and see their yearly hate crime statistics, visit their website here. If you are a Lesbian, Gay, Bisexual, Transgender, Queer/Questioning (LGBTQ) victim of or witness to a crime, please report the incident to the police by calling 911. Anonymous tipsters are also welcome to call CrimeStoppers at 866-371-TIPS (8477). The specifics of the crime: What happened? Your injuries: The 911 operator will call medics, if necessary, while talking with you. What was said: Tell the 911 operator and the responding officer if the suspect(s) used words to indicate a hate crime. If there was a weapon involved: Describe it as best possible. Suspect vehicle description: Color, make, model, vehicle license, and direction of travel. Even if you think the crime is insignificant, report it. Respond immediately to the scene to prevent further harm to you or others. Collect evidence that could be destroyed if not discovered quickly. Interview witnesses who may otherwise be gone if you delay your call. Apprehend suspect(s) quickly so they do not continue to victimize others. Determine if suspect(s) are engaged in a pattern of previous and/or ongoing behavior that threatens the community. Increase community awareness of criminal activity in the area. Develop solutions and/or deterrents to reduce the crime by adding patrols to the area. Your quick actions and reporting will help reduce crime in St. Louis! The St. Louis Metropolitan Police Department's LGBTQ Liaison Officer, Police Officer Christopher Pederson, works out of Headquarters and is assigned to the Intelligence Division. Working closely with the LGBTQ community on a variety of community related events and issues. Coordinating SLMPD Diversity Committee Meetings. Coordinating SLMPD participation in LGBTQ and PRIDE related events throughout the region. Responding to all SLMPD Safe Place website requests and inquiries. P.O. Pederson can be reached at safeplace@slmpd.org. The St. Louis Metropolitan Police Department (SLMPD) is actively seeking qualified applicants, including Lesbian, Gay, Bisexual, Transgender, Queer/Questioning (LGBTQ) residents to fill both Sworn (Police Officer) and Civilian positions on an on-going basis. As of today, dozens of openly LGBTQ employees have served, and continue to serve in all positions within the SLMPD. For more information about employment with the SLMPD, please visit our careers webpage, call the Human Resources office at 444-5615 or stop by Police Headquarters, 1915 Olive, to pick up an application and speak to a recruiter. You can also contact our LGBTQ Liaison Officer at safeplace@slmpd.org with any LGBTQ-related questions.